Cool diverse vector footage with many decorations. 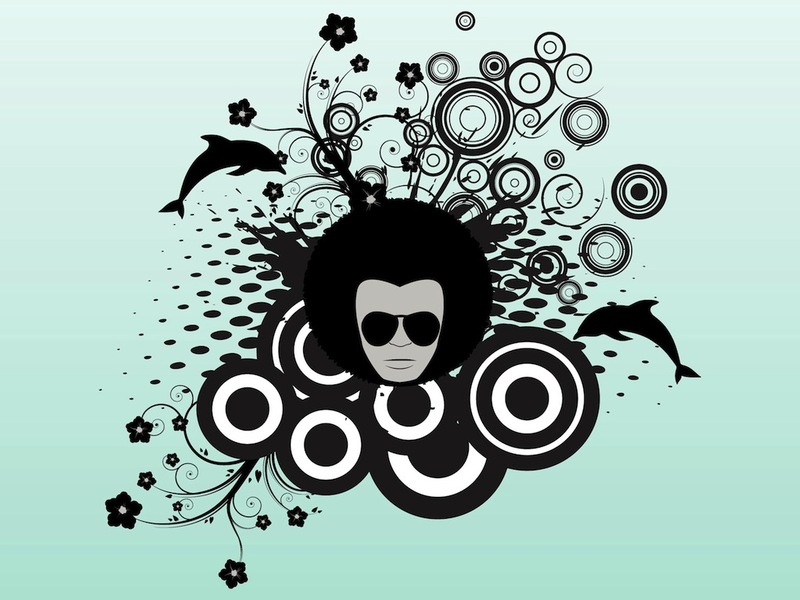 Cartoon portrait of man with Afro hair and big sunglasses in the center, many concentric circles and dot patterns behind him, silhouettes of flowers and jumping dolphins. Free vector illustration for all kinds of party invitations, posters and wallpapers designs. Tags: Decorations, Face, Flyer, Fun, Man, Party, Poster, T-Shirt Print.